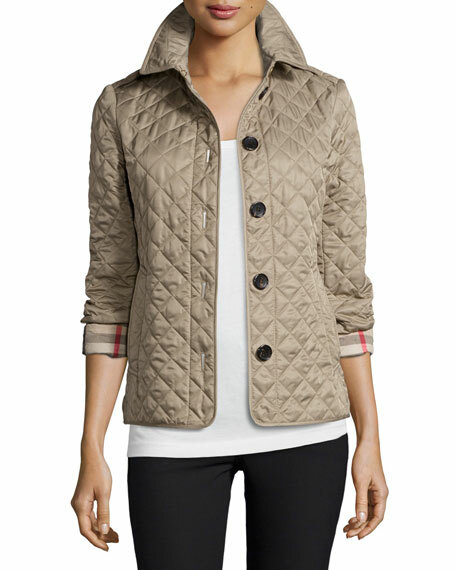 Burberry Brit "Ashurst" classic modern quilted jacket with check pattern details under collar and cuffs. Approx. measurements: 26"L center back to hem; 6"L slit. Spread collar with hook-and-eye closure; buffalo-horn button front. Long sleeves may be worn cuffed to show check pattern; 25.5"L.
Made in Romania of Italian material.